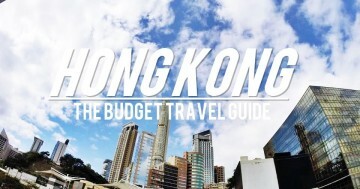 Hong Kong doesn’t immediately present its quieter side to undiscerning tourists. A 21st-century cacophony, this city’s blend of trams and temples, skyscrapers and subways, malls and myriad street shops, can overstimulate even the most Zen traveller. Here, everyone seems to be in perpetual high gear – even the tourists, who quickly learn to speedwalk through neon-lit streets and soar through guidebook favourites like the average local. It’s an iconic spectacle and a hyperactive seeker’s delight; the kind that triggers your fear of missing out simply just by reviewing its endless list of hot spots alone. And yet, when it comes to ditching Hong Kong altogether, even the hardiest city dwellers know better than to make that drastic cut without thinking twice. Jaded as they might be, Hong Kong compensates for the cosmopolitan fatigue with pockets of calm which lie ever so thinly behind the initial whirl of sophisticated chaos. Think rugged trails and a healthy dose of adventures in the almost-wilderness. Quaint fishing villages and bohemian boulevards. Think illuminated playgrounds that will prove just as vibrant as your Top-10-Things-to-Do-In-Hong Kong that you’ve got all mapped out. Yes. Steeped in skyscrapers and congested city traffic, Hong Kong is Asia at its most dizzying – a high-octane, pulsating city that never stops. But, it sure knows how to also surprise. To approach Hong Kong with a breath of fresh air, take on one of these 12 alternatives the next time you find yourself there. Small and resolutely beautiful, this is one city that is fast redefining itself with treasures hidden in every nook and cranny – only if you know where to look. It’s like hopping on a four-hour flight from Singapore straight to Orchard Road. 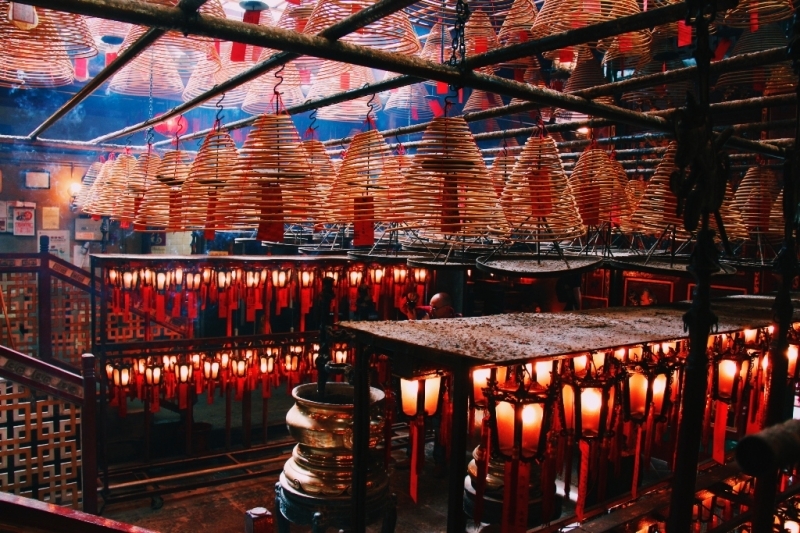 Sheung Wan is a living relic – the perfect relaxing antidote to the incessant energy and bustle of Hong Kong. Love it or hate it, this up-and-rising location is making its mark on the map as a vivid melting pot of Eastern and Western influences; the island’s unapologetic cross-cultural melange epitomized in one neighbourhood. Here you’ll find artisan cafes against temples, galleries and hidden bars against traditional medicine shops – all kinds of eclectic shopping experiences await, nestled amidst winding pathways and shabby colonial chic fronts. Do Not Miss: Red-bricked Western Market, the oldest surviving market building highly reminiscent of the nation’s British-occupied past. Cat Street, which plays host to a cluster of curio and antique shops. Dried Seafood Street, Medicine Street, and Graham Street, for an atmospheric glance into Hong Kong’s age-old eating (and self-medicating) habits. 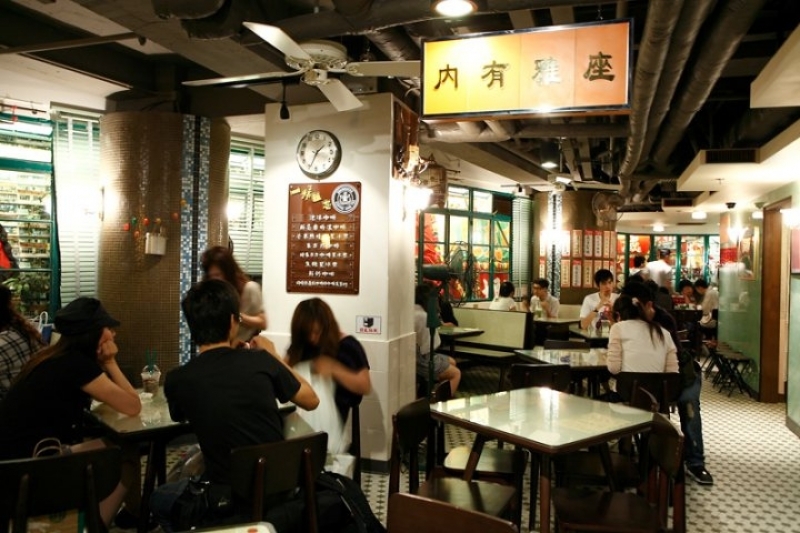 SKIP THIS: Tim Ho Wan, Mak’s Noodle, Tsui Wah… you get the drift. These big name establishments may be testament to the country’s prodigious ascent as one of the world’s largest foodie destinations… but if you look closer, the real drawing card of any food scene is always marked by its atmosphere. Eating out at a Da Pai Dong in Hong Kong is nothing short of exceptional. 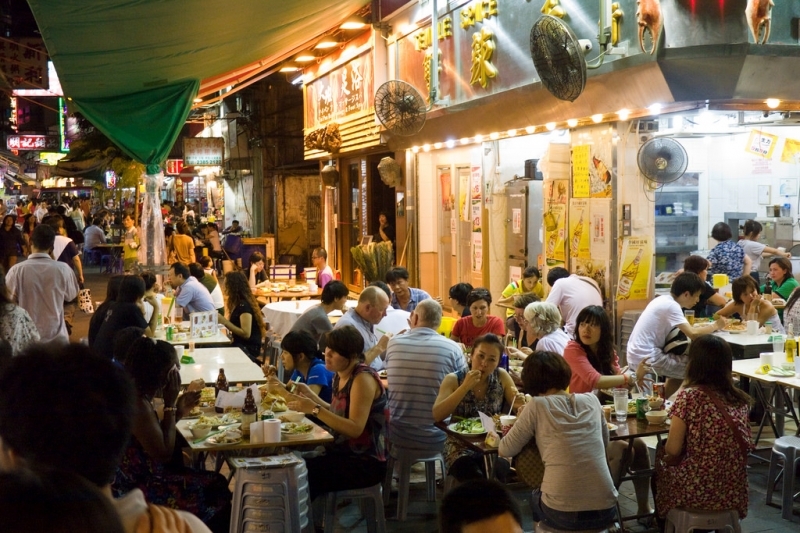 Typically found alongside streets and lanes, these iconic open-air food street stalls are best known for a full bevy of wok-and-toss dishes; but perhaps more significantly, for serving up a true community affair to both locals and tourists alike. Peak periods spell queues, crowd, pollution, and service with an attitude; but for some reason, the cornucopia of goods-and-bads always add up to make this venture worth the while. 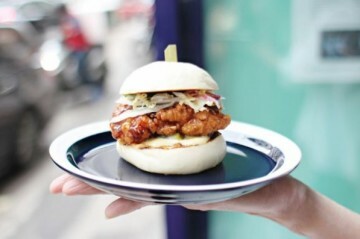 It’s vaguely resemblant of Singapore’s hawker centres and, having been around since WWII, are nothing new to the scene. Strangely enough though, Da Pai Dongs remain a highly understated experience in this culinary capital. Expect zero frills, cheap eats, and unpretentious yet flavoursome options: Da Pai Dongs are a nod to the nation’s gourmet roots, and will indulge your appetite for a true Hong Kong food adventure. Unless you’re looking for gaudy somethings for a bunch of colleagues you don’t really care for, everything here is, in short, worth the skip. Short for Police Married Quarters, PMQ is a re-purposed heritage-listed building that is presently reliving its reincarnation as a local creative hub. The full experience spans eight storeys and more than 18,000 square feet combined, with more than 100 design galleries, shops, bookstores and office units (pop-ups and their monthly night market affair not included). It’s all very quaint, all very creative, and all very… hipster-ish; but all very authentic too, especially if you’re searching for a bona fide shopping adventure in Hong Kong. It’s the cutting edge of local fashion, food, and crafts all housed under one roof (keyword being local and hidden implication being not tacky); and is probably the kind of place you’d want to shop for gifts if you’re looking to not tarnish your reputation with schlocky magnets and questionable trinkets from the streets. Getting There: Walk along Aberdeen Street for around seven minutes to reach PMQ. Drop off at Central MTR Station and take Exit C. Walk along Des Voeux Road to the Hang Seng Bank Headquarters, which is linked to the Central–Mid-Levels Escalator. Take the escalator to Staunton Street and turn right. Walk for about three minutes to reach PMQ. SoHo might be the destination on every shopaholic’s lips when in Hong Kong, but its up-and-coming baby sister, NoHo, is sure giving it a run for its money. An eclectic assemblage of indie spots and boho boutiques, NoHo is – as the name suggests – located at the North of SoHo, comprising of Gough Street, Aberdeen Street and Kau U Fong. Both enclaves kind of resemble each other (as do all siblings), but while SoHo is more well-versed in the song and dance of the upper class, NoHo balances sleek retail with a decidedly offbeat touch of bohemianism. Here, businesses are unconventional, hangouts are more intimate, and retail is overall artisanal – this is, essentially, SoHo with a progressive free spirit. Do Not Miss: Mr Blacksmith, Homeless, and WOAW (World of Amazing Wonders) for a mid-day spike of quirky merchandise. Ranee K and Gallery De Vie radiate with feels of old curiosity shops; and if you’re looking for refreshment with unusual trimmings, pick from Elephant Grounds, Gough’s On Gough, and Agnès B. Café L.P.G. It’s like Singapore’s Haji Lane all over again. Like the description suggests, upstairs cafes are basically cafes located on the second level of old buildings in busy districts. They’re typically tiny, themed, and severely underrated; and finding them requires a lot of patience, luck, and sheer tenacity. 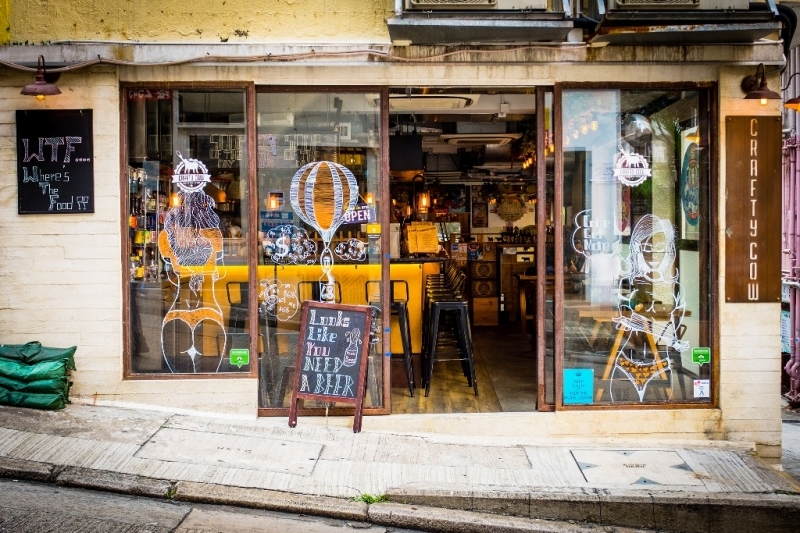 Upstairs cafes are a big part of Hong Kong’s youth culture; and apart from food and drinks, many also provide free entertainment such as toys, card games and board games, reading materials, or even pets. In fact, this is so significantly part of the country’s culture that even Starbucks is comfortably nestled in the bandwagon. Starbucks @ Duddell Street (shown in picture) is the first Bing Sutt-themed Starbucks in the world, layered with the perfect old-world atmosphere to match. While you won’t be chancing upon any domestic pets here, you will, however, be whisked away on a time-travelling adventure back to the 1950s, courtesy of its age-appropriate furniture, fittings, and nostalgic retro artefacts. How does anyone find an upstairs cafe then, you ask? Well, these secret hidden gems are usually uncovered by recommendations, magazine articles, websites, blogs and forums. They have extremely poor visibility if you’re on street level; so don’t expect to chance upon one if your eyes aren’t kept open. Mom’s Not Home | Besides Food, You’ll Find… plenty of space, a forest of succulents, and knick-knacks from near and far, meticulously sourced by its globetrotting minimalist owners. Cat Store | Besides Food, You’ll Find… nine cats, and a whole assortment of cat-themed sidelines. OnDogDog Cafe | Besides Food, You’ll Find… five huskies and a ginger cat. Jolly Thinkers | Besides Food, You’ll Find… a wide array of board games that put the likes of Monopoly and Scrabble to shame. Ease Cafe | Besides Food, You’ll Find… more than a whopping 5,000 comic books. 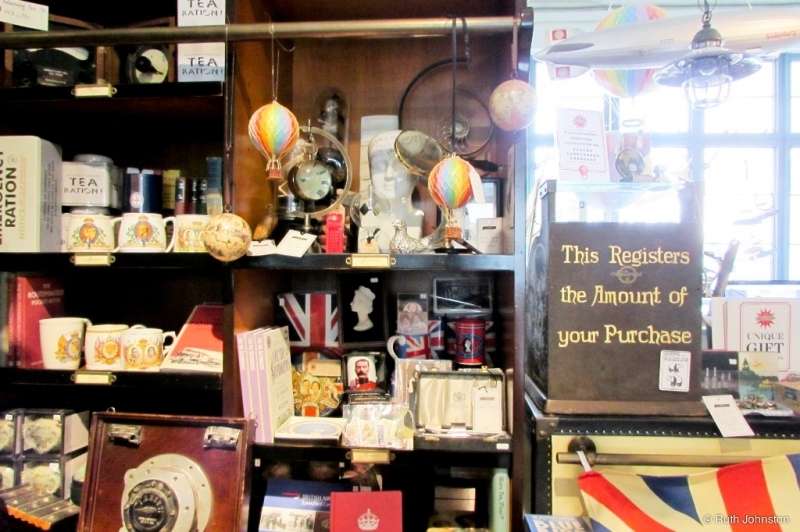 Full Cup Cafe| Besides Food, You’ll Find… yourself travelling back in time, with its wall-to-wall collection of vintage artefacts and decor. Like Singapore’s Clarke Quay, the after-dark atmosphere at LKF miggggght seem impossible to replace at first glance. But. Like we said, there really isn’t one single area in the rest of Hong Kong that can match up to LKF’s night vibe, but that doesn’t mean an alternative experience to that doesn’t exist. 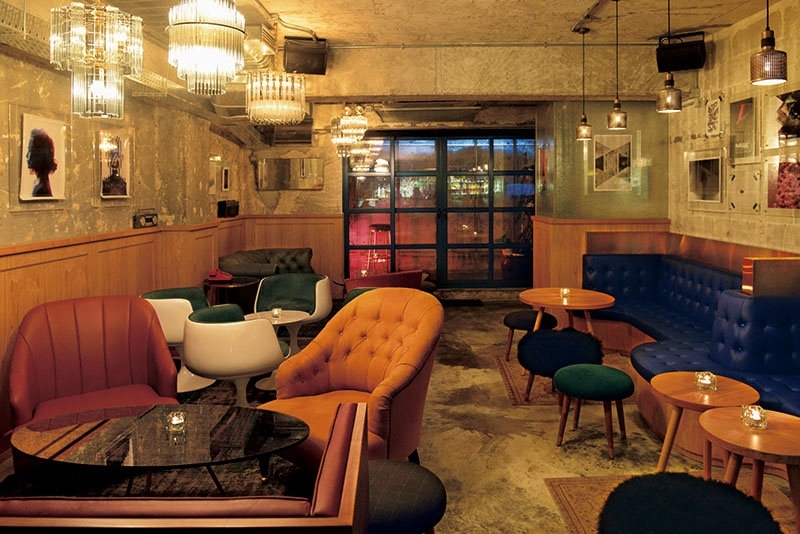 For a taste of an out-of-this-world experience, explore Hong Kong’s swathe of clandestine speakeasies that will bring you several eras back in time, where the mere act of stepping past entrances blankets you with a grand feeling of just being let in on an exclusive secret. Usually tucked away in nooks and crannies around the Central district, these hidden bars all share this in common: they’re broody, they’re sophisticated, and they’re easy to miss if you don’t know what you’re looking for. Here, showmanship is key; so be prepared to be drenched with old-world glamour, the suave sounds of jazz, and enough bespoke cocktails to make you feel like a 1920s New York legend – if you manage to find your way into one, that is. [Top Secret #2]: J. Boroski| By invite only. Email: [email protected] for location details and booking. Because viewpoint snaps are best taken without having to scuffle with hundreds of others for elbow room. 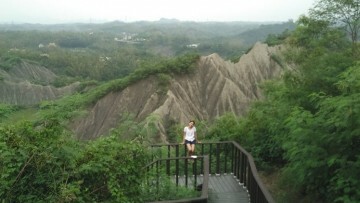 The Dragon’s Back is Hong Kong’s undisputed most celebrated hiking trail. Both Lonely Planet and Time Magazine have declared it the best urban hike in Asia; while TripAdvisor has also pinned its Certificate of Excellence seal on it. Swathed in hues of emerald and azure, the views you see going up is of artistic legend; and is a romantic respite from the country’s crazy life. 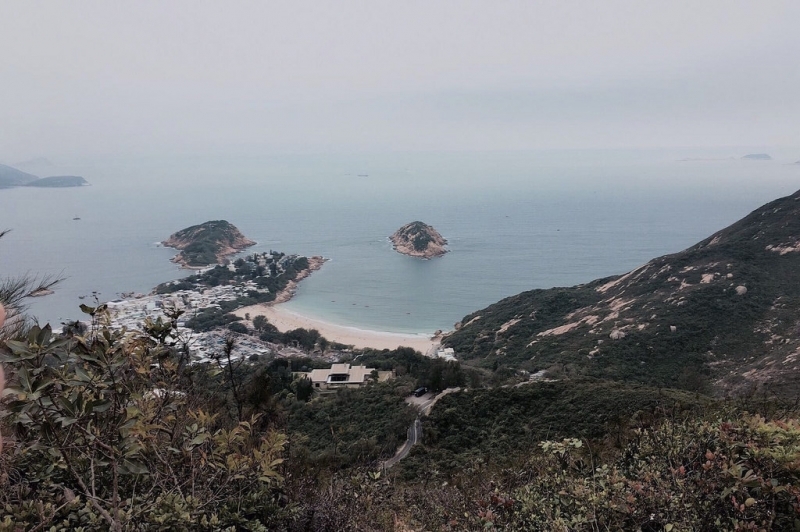 The full hike takes about 3-4 hours up and back, and proves the best way to capture Hong Kong’s panoramic view without having to jostle the crowd. Stock up on refreshment as there aren’t any snack stops along the way, and don’t forget your most comfy walking shoes: The Dragon’s Back is a relatively easy trek even for beginners, and having your best gear on will make it even more of a breeze. Getting There: Drop at Shau Kei Wan MTR Station and take Exit A to Shau Kei Wan Bus Terminus. From there, hop on Bus 9, or the minibus with the sign ‘Shek O’ next to the bus terminus. Alight at To Tei Wan, Shek O Road. It may be one of the world’s oldest zoological and botanical gardens… but is it anywhere close to being something as phenomenal as, say, the remains of a volcanic explosion? This below-the-radar geopark needs no selling for anyone to want to see it. It is, after all, the aftermath of a volcanic explosion which occurred more than 140 million years ago, where volcanic ash fused and formed layers of rock up to 400 metres thick. Today, this accidental grandeur is the crowning glory of the nation’s round-up of parks and reserves, and makes for one of the most spectacular landscapes that you’ll find in the region. 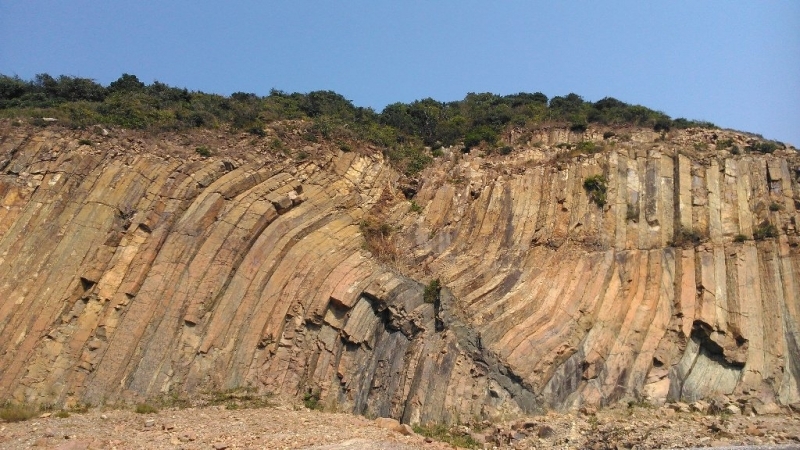 A walking trail around here will lead you to Long Ke, one of Hong Kong’s most pristine beaches; but if you’re set on exploring only within the confines of the GeoPark, the Sedimentary Rock Region is a must-drop by. It features Hong Kong’s oldest rocks that date back more than 400 million years; along with many human-height stone formations that will, at the very least, make your jaw drop a little. Most of the GeoPark’s hexagonal columns are best appreciated from beyond the coastline; so hop on a pleasure boat for a cruise if time and budget allow. Getting There: Drop off at Choi Hung MTR Station and take the C2 Exit. Then take minibus 1A to Sai Kung Pier. Alternatively, drop off at Hang Hau MTR Station, Exit A1, and take minibus 101M to Sai Kung Pier. From the pier, hire a boat to the Ung Kong Group of Islands. Ever heard of the term, ‘Vemödalen‘? It’s the frustration of photographing something amazing and then finding out that thousands of identical photos already exist. 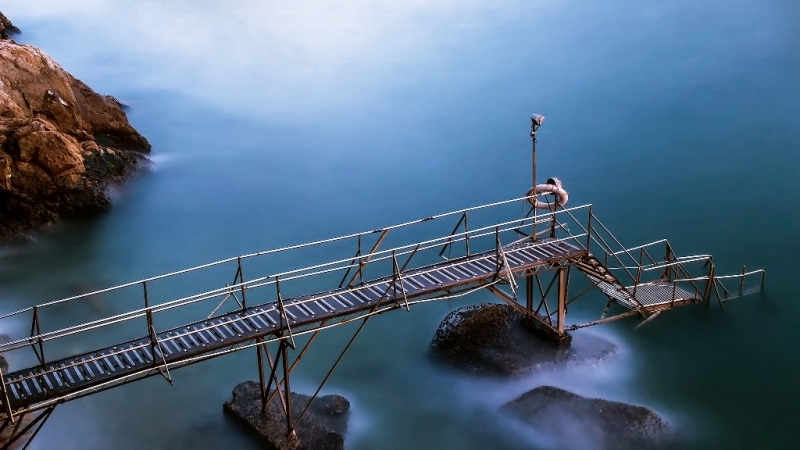 While Instagram Pier (officially known as the Public Cargo Pier) is an ideal location too if you know the right angles to recreate, Sai Wan Swimming Shed is what will put you at the top of the pops. This wooden pier juts out into the choppy waters of the Sulphur Channel and is a popular spot for photograph enthusiasts – but, its remote location makes it a lot more inaccessible, meaning a lot less running into passers-by and entry-level Instagrammers. Don’t miss the sunset here for anything else. Getting There: Drop at Kennedy Town MTR Station. Walk out through Exit A and take the Green Minibus 58 – the estimated bus travel time is about 30 minutes. Hong Kong Disneyland packs a punch especially for the kids, but it is undeniably smaller in size and variety compared its counterparts in other locations. Besides, it’s an iconic must-visit for most tourists, so if you’d like to escape swarming crowds, it’s best to skip it. To plug the void that dropping Disneyland might invoke, try eating your feelings instead. 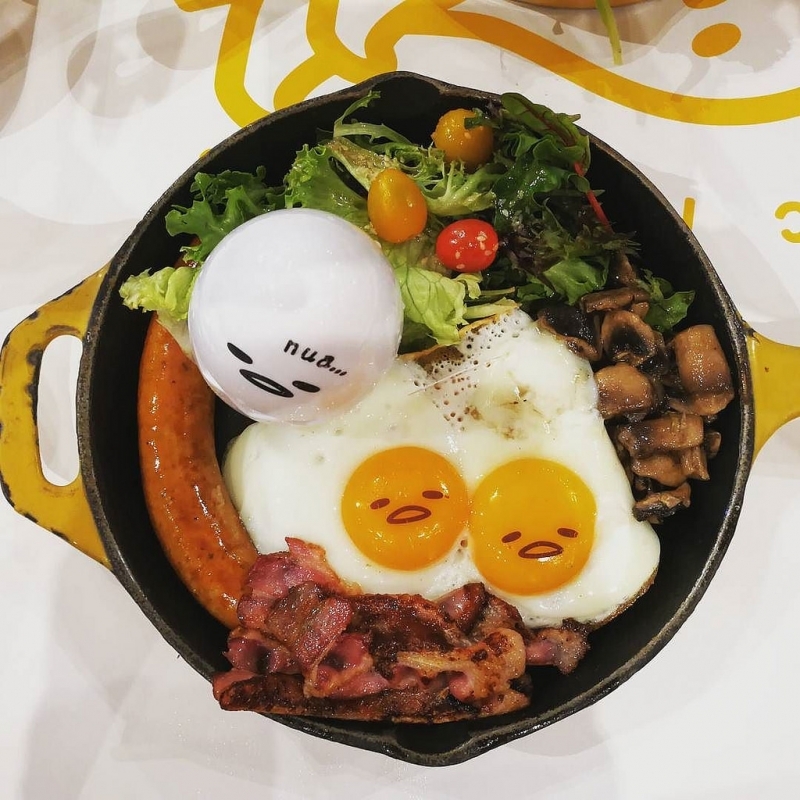 In Hong Kong, equally whimsical and novel dining experiences await, courtesy of Moomin, Charlie Brown, Pom Pom Purin, Gudetama, and of course, the Queen of all characters herself, Hello Kitty. Potterheads, you might want to sit up for this too, because the highly anticipated 9¾ Cafe opened its doors to public just a mere handful of weeks ago in September, which means you now finally get to slyther up to your very own Hogwarts feast and have a taste of everything you spent your entire childhood growing up fantasizing about: Polyjuice Potion, Veritaserum, Butterbeer, even *gulp* The Dementor’s Kiss, if you will. Food emerges from these kitchens in a steady flow of beautifully presented, character-themed plates; serving up multi-sensory feasts that will have you over Disneyland in no time. Expect a delicious blend of tradition, style and taste, all rolled into one pretty package. 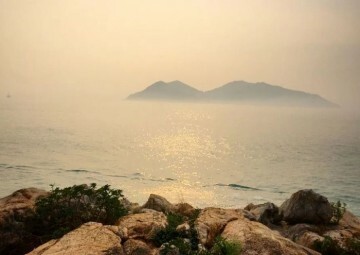 Technically, there isn’t anything wrong with Lantau Island; but out of Hong Kong’s four outlying islands, Lantau is the most marketed and therefore, the most touristed; so hop on to any of the other three for a more authentic (and less overcrowded) experience. Lamma Island is Hong Kong’s answer to Europe’s peaceful quaint Scandinavia, with just the right amount of Asian to make its point. Rolling hills, sleepy fishing villages, glorious seafood by the waterfront – this remote little island, with an intriguing bubble of activity that stands as a huge contrast to the city’s constant bustle, is alternative Hong Kong at its most rustic. Plenty of cafes, craft shops, and restaurants await your patronage; but if you’ve had your fill of all that, take on its gentle hiking trail, or even while your day away along the waters at Hung Shing Yeh Beach. Don’t miss O Tsai Fishing Village in the evening: it’s an ideal spot to watch the sunset from, with a small pavilion that offers spectacular views of neighbouring islands. Getting There: Drop off at Central MTR Station. 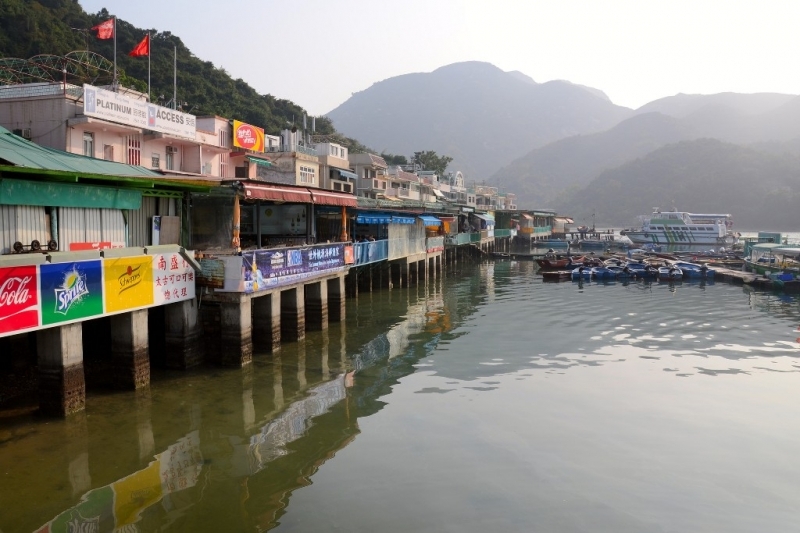 Take a ten-minute walk to Central Pier 4 and hop on a ferry to Lamma Island. Disclaimer before we continue: Ma Wan Ghost Town is by no definition, a ‘mainstream’ destination in Hong Kong. It is a good-enough alternative to any other tourist-centric place in Hong Kong; but, if you’re the kind of traveller that’s already reading up on Ma Wan for a spook, you may want to reconsider – only because it does fall short in fulfilling the need for a paranormal thrill. 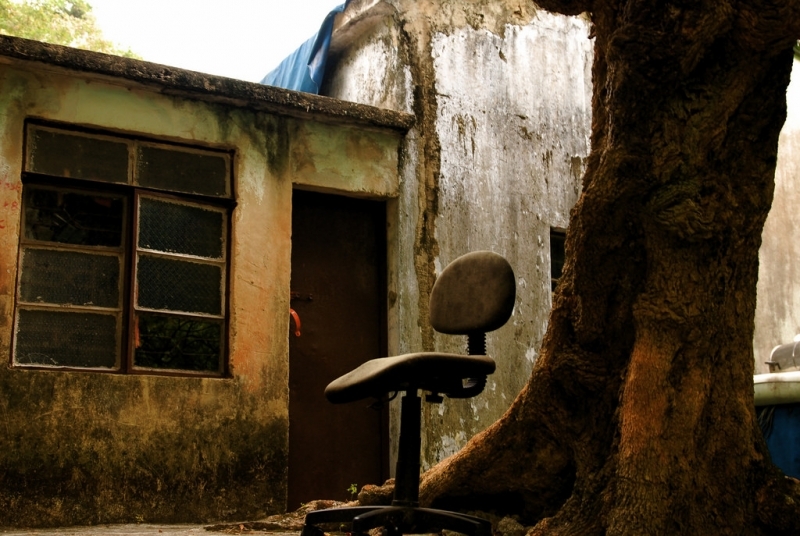 After a while, Ma Wan is essentially an abandoned town – the only thing that will scare you is the number of couples who peg this as a potential wedding photography location. Peppered with decomposing homes, the last villagers on Yim Tin Tsai left in the 1990s; and in the years ever since, Yim Tin Tsai has pretty much been laid to rest. Broken windows and dilapidated structures aside, what makes this experience spookier and all the more surreal, is the belongings left behind by its once-occupants. Furniture, appliances, crockeries, books, beds with their sheets still on, even mahjong tiles – it’s not difficult to find your mind wandering back to the days of what must have been when the island was once filled with life and movement. Don’t start chickening out, there aren’t any actual hauntings going on in Yim Yin Tsai- nothing’s going to follow you home. Today, Yim Yin Tsai is being consciously remodelled as a living museum for local and foreign tourists (hence the relatively easy accessibility), with attempts to eventually revive the island as a leisure eco-tourism destination. Getting There: Small ferries run from Sai Kung’s waterfront promenade regularly, and cost around $35 for a round trip.